The Tap Pack. Photo by Mitch Loveday. After a triumphant season on London’s West End, The Tap Pack is back in its hometown, preparing for its debut at the iconic Sydney Opera House. Created by Thomas J Egan, Jesse Rasmussen, Jordan Pollard and Director Nigel Turner-Carroll, this one-of-a-kind show is inspired by the legendary Rat Pack. 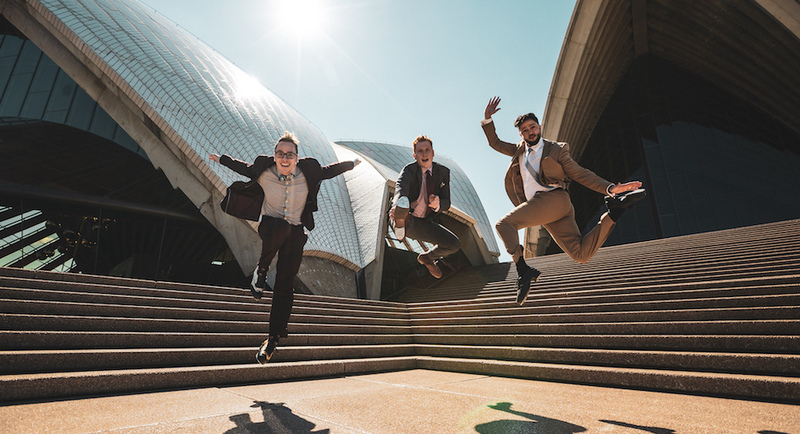 Following a group of five Aussie mates, The Tap Pack is ready to entertain audiences with its witty banter and polished tap dance skills set to a blend of jazz, pop and swing that is sure to get your feet tapping along. Ready to take the stage at the Sydney Opera House are some of Australia’s finest tap dancers and “triple threat” performers: Thomas J Egan (Singing in the Rain, Fame The Musical, The Great Gatsby), Jordan Pollard (Avenue Q, Anything Goes, West Side Story), Sean Mulligan (Jersey Boys, Legally Blonde, Mamma Mia! ), Tom Struik (Boys in the Band, The Voice) and Mark Hill (Muriel’s Wedding, Chorus Line, Anything Goes). The Tap Pack has not only taken inspiration from the Rat Pack but also from tap dancing legends. “We love watching old videos of Sammy Davis Jr, who was in the Rat Pack doing cabaret spots like ‘Me and My Shadow’ with a bowler hat and tap dancing, but extending beyond that, we love Fred Astaire and Gene Kelly, and I particularly love Gregory Hines, so we borrowed from different tap dancing greats. There is a number in the show called ‘Ode to the Greats’, which is a tip of a hat to the legends who have come through tap,” says Egan. The performers also get an opportunity to showcase their creative side, improvising a few tap dance numbers to give each performance its own unique feel. “For my solo in the show, I was really influenced the first time I saw somebody improvise a whole seven-minute solo at a tap festival. I was really taken by the idea of improvising a whole number, so that’s what my solo is about. I start small and build it up. In lot of the numbers, we have little improvisations throughout, so every show is different, which keeps it fun for us,” Egan adds. 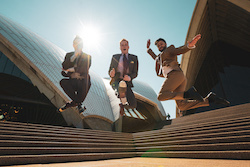 The Tap Pack is at the Sydney Opera House from 17 October to 4 November 2018. 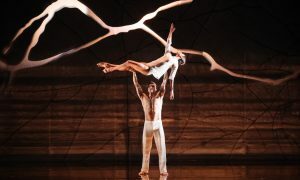 For more information and to purchase tickets, visit www.sydneyoperahouse.com.